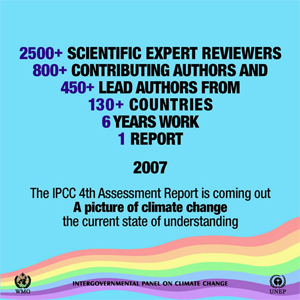 "[The IPCC report] used only peer reviewed published science..." - Associated Press science writer Seth Borenstein, February 2007. This story appeared in newspapers large and small in countries that included Russia, Canada, and the United States. 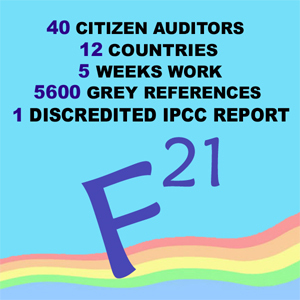 "The [IPCC] report will draw on already published peer-review science." - Associated Press science writer Seth Borenstein, January 2007. This story appeared in newspapers in countries that included South Africa and the United States. "The knowledge of climate change contained within peer-reviewed scientific publications is periodically assessed by the Intergovernmental Panel on Climate Change." - Science Alert.com, November 2008.